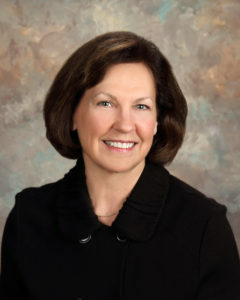 O’FALLON – O’Fallon Resident Carol Beeman has been named as a 2016 Woman of Achievement. Women of Achievement honorees are selected from nominations from the St. Louis metropolitan area, including Metro East Illinois, who have demonstrated outstanding commitment to the betterment of the St. Louis region through voluntary contributions, volunteer leadership and a significant breadth of a volunteer career. Women of Achievement considers nominees with significant volunteer impact in areas such as, but not limited to, education, arts, health and human services, youth and family, philanthropy, social justice and advocacy. After retiring from SBC (formerly Southwester Bell) in 2002, Carol dedicated her time and energy toward being a community volunteer and leader. She wanted to volunteer in a big way, making significant, tangible, hands-on impact. Carol became a CASA (Court Appointed Special Advocates) volunteer in 2002, and joined the board of CASA of Southwestern Illinois in 2007. She has served as board secretary and is currently on the finance committee. CASA of Southwestern Illinois serves nearly 500 children in St. Clair, Monroe and Madison counties. Carol also wanted to help the homeless by serving free meals once a week, and worked to start Community Meals at Faith Lutheran in 2011. Guests include the homeless, food pantry patrons, assisted living residents, and others. Carol became a Stephen Leader in 2005 for Faith Lutheran Church and directs the program’s training. Stephen Ministers are trained to give confidential support during life’s difficult moments such as grief, divorce or just a need to talk. Carol has also been active in fundraising and building homes for the O’Fallon Area Habitat for Humanity charter, which was approved in October, 2010. The first house was built in 2013. A second started in April of this year and three additional properties have recently been acquired. In addition to all of these volunteer efforts and leadership, Carol also coordinated disaster recovery trips to Biloxi, Mississippi to assist Hurricane Katrina victims in 2005, and later expanded to Texas and Minnesota. Carol is a member of Masterworks Chorale, as well as a recent board member, and the Faith Lutheran Church choir. She is a wife, mom, and very proud grandma. Carol is one of ten women making up the 2016 Class of Honorees and will be recognized at the 2016 Women of Achievement Luncheon on Tuesday, May 10 at the Ritz-Carlton, St. Louis. Founded in 1955, the St. Louis Women of Achievement Award is the oldest, ongoing program in the area whose sole mission is to honor and recognize the volunteer service and volunteer leadership of women.